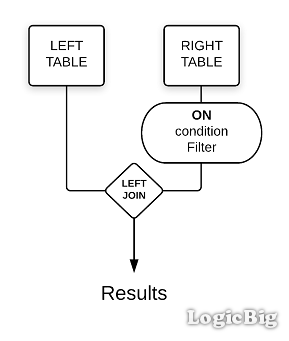 "SELECT e FROM Employee e LEFT OUTER JOIN e.tasks t ON t.supervisor = 'Denise'"
As seen above, the LEFT OUTER JOIN returned all results from the left side table (Employee) even they don't have 'tasks'. "SELECT DISTINCT e.name, t.description, t.supervisor FROM Employee e "
This time, we got the results only with tasks whose supervisor is 'Denise', but how this is different than the results when the condition is applied via 'WHERE' clause? (see next). 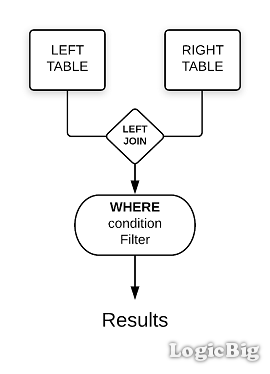 WHERE condition is applied after tables have been joined. ON condition is applied on the right side table before joining them.